Optimizing your chassis fleet operations may sound like an obvious part of doing business, but it’s often easier said than done. Over time, as your chassis fleet grows and challenges arise, you realize that things aren’t running as efficiently as they could be. As chassis telematics solutions become more ubiquitous, companies without the technology may find themselves at a competitive disadvantage. Lack of visibility into a chassis fleet is the number one adversary to fully optimized operations and may have a drastic impact on the bottom line by contributing to longer dwell times, improper geographical distribution and asset misuse. A good telematics solution is made up of a tracking device, intuitive software and a variety of sensors that work seamlessly together to provide real-time visibility into chassis operations to help businesses deploy fleets more strategically and increase margins. Having a real-time overview of exactly where each of your chassis are, means you no longer need to depend on potentially outdated and inaccurate manually-collected data that makes optimizing dwell times and distribution nearly impossible. Visibility into your operations through telematics helps you ensure your chassis are properly distributed geographically, which saves on time and costs of manual labor. It also lets you know how specific yards are performing, shortening your turn times so your chassis are more frequently on the road making money. When you can see where your chassis are, you know whether or not they are where they’re supposed to be and if they are being properly handled. For instance, customers may be storing them outside their yards, putting them at increased risk of vandalism and theft. Or drivers may be using them for unauthorized runs. And what happens when one goes missing due to theft or misplacement? Eventually, you’ll need to write it off. In all of these cases, telematics can help to provide you with the up-to-the-minute tracking information and location history you need to keep your assets secure. Telematics does more than simply provide you with access to dots-on-a-map location visibility. It also helps improve customer service with more accurate billing and invoicing, more on-time deliveries, the ability to provide ETAs through en-route chassis location updates and notifications when things go wrong so you can respond immediately. The result of all these benefits is greater customer satisfaction, positive word-of-mouth, and long-term loyalty. Telematics in the supply chain is proven to enable better business planning, streamline operations, minimize theft, improve preventive maintenance and repair and enhance customer service. All of that is made possible through a combination of smart devices, sensors and powerful software. ORBCOMM devices feature quick and covert installation and are positioned to protect the hardware from contact with the container during loading. Our sensors combine with the solution to help extend the life of your tires, boost fuel economy, mate chassis to trucks, tell you if chassis are loaded or empty and whether chassis arms are opened or closed. All this data is made actionable through our software solutions, providing you real-time alerts on chassis location, geofence access, mounting and unmounting events, historical reporting and much more. 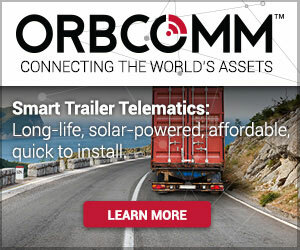 For more information on ORBCOMM’s chassis tracking solutions, or to get a free no-obligation quote, visit http://www2.orbcomm.com/chassis-tracking.